AgileCase is for SMEs, any businesses that have teams of people performing knowledge based processes to complete customer work. Sign up for a trial now. AgileCase is a cloud case management solution designed to digitize business processes and help businesses bring their offline processes into the cloud. From storing customer data to automating the creation and sending of documents, emails and SMS messages to communicate with your customers. 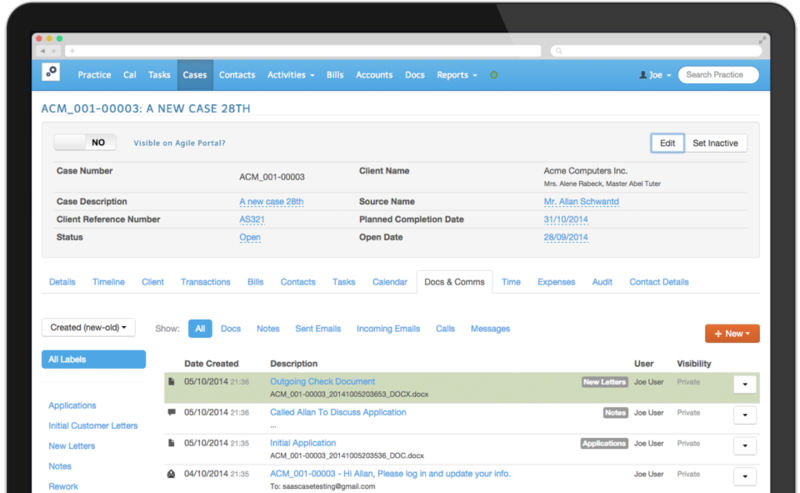 AgileCase can help you run, manage and progress any customer based processes.